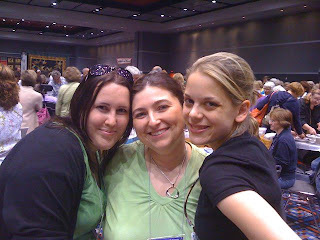 Here is a quick pic of the 3 of us at Sample Spree, myself, Julie and Rachel...we met Jocelyn @ the fat quarter shop!! We have walked, talked and shopped til we drop.. Such a fun picture...I saw it on Twitter first! Sounds like a good time!